As more organizations move their workloads to the cloud, IT pros have a lot to consider when it comes to infrastructure planning—including whether all-flash is a viable storage option for such initiatives. 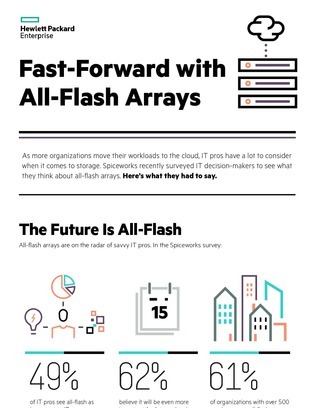 Spiceworks recently surveyed IT decision-makers to see what they think about all-flash arrays. Here’s what they had to say.